Fort Beleg, an installation as part of KAAP an annual art event for kids in a former military bunker complex in Utrecht. 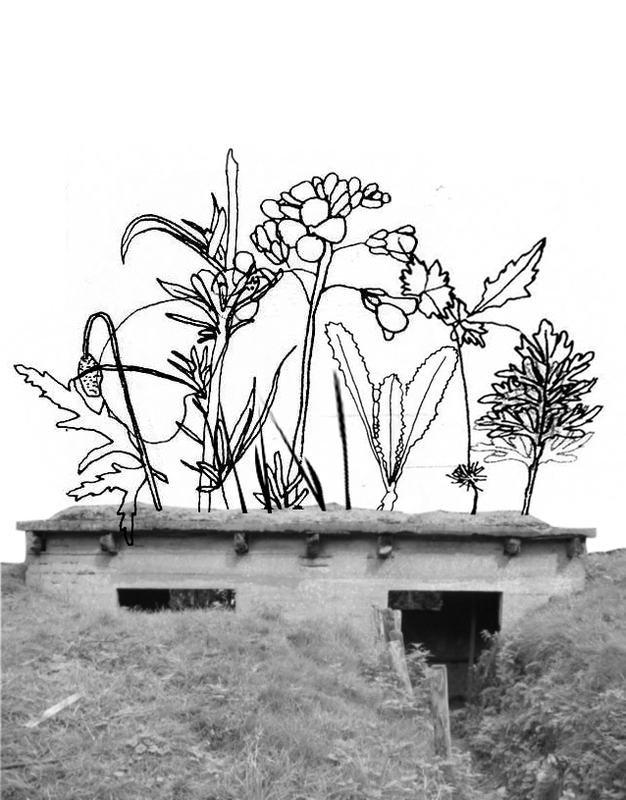 The edible vegetation that has lain siege over the former defense zone is made into a ‘Fort Beleg’. Beleg in Dutch means both siege and sandwich spread. An inventory was made of the plants growing most prosperously on and around the fort walls (with the help of urban botanist Claud Biemans). All plants were plucked and then cooked to a conservable consistency. And so the zone of the fortress becomes one big edible Umfeld-sandwich. There are two parts to the installation: first a moveable tasting and plant identification carriage which can be wheeled around to trace the plants and taste the living matter of the fort, also through the tastes of the other animals inhabiting the fort. And there’s the stationary part: the beleg storage set-up like a wartime pantry in a dark, damp former ammunition storage chamber. An emergency stockpile of preserved (and edible) polemobotany. The other artists exhibiting as part of this year’s KAAP are Tamás Kaszás, Folly Teko, Maura Biava, Yael Davids, Saskia Janssen, Yeondoo Jung, James Beckett, Kevin Immanuel, Nina Yuen all of whose work uses the fortress as a space to make your own world.